We’re off and running! Roy, Calvin and Warnie get through the big issues coming out of the weekend. Round one scores have been tallied, new prices calculated and we’re ready to make our first trades. With the weekly price movements, we need to be smart when using our two trades. There were some very high scores this round with 62 players breaking the 100 point barrier. It’s important not to just chase last week’s big score as Roy, Calvin and Warnie look at the best strategy for this first week of trading on the Official AFL Fantasy Podcast. 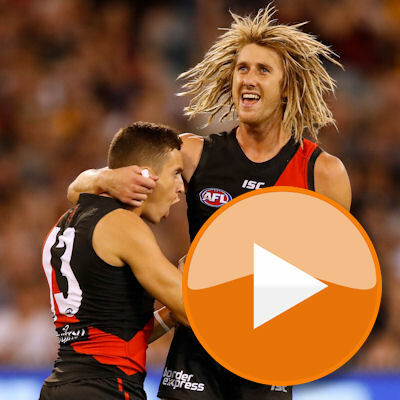 What we learned from round one including the slow burning rookies. The top team of round one, Paul Forrester’s “raulup” that scored 2373 (see team below). Your social media questions answered. Now that we have 3 trades during the bye rounds, shouldn’t the total number of trades jump to 47 rather than 44? Or is it just that we are able to make 3 trades during those weeks and have to find 3 weeks where we only make 1 trade? Wait until she gets the DPP (dirty putrid poo) and you’ve got to change her!! Good luck with the sleepless nights but it’ll give you time to look at your side even more??? Firstly Congrates on the new little Bub, hope she grows up to look as beautiful as her ol man, but without the beard. 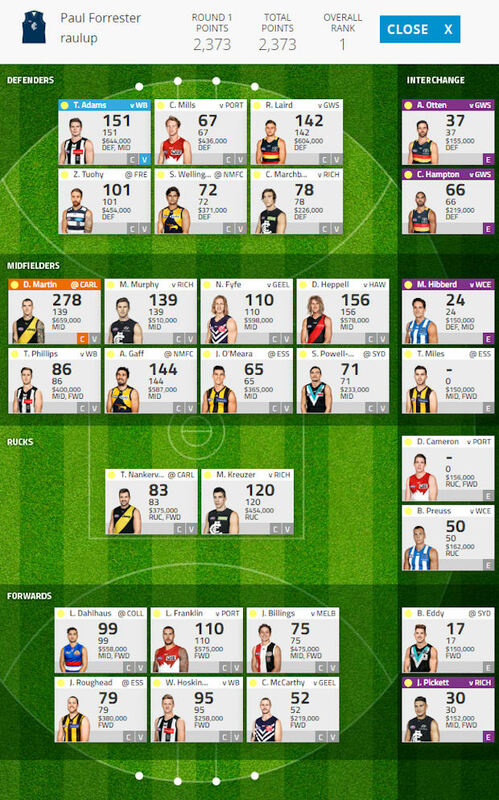 Now I was thinking of Trading out Lloyd and J Smith for A McGrath and Jones but after listening to you guys chat on here you all make a lot of sense when you say Doggies leak a lot of points so maybe I should keep Lloyd and try bringing in Z Jones in other means do you think I’m doing the right thing? I am Ranked 11830 as that makes me happy. Rookies are putrid….only looking to make changes with them-happy with my premos.